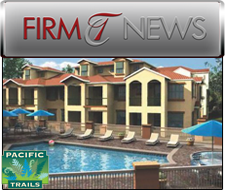 We are proud to announce that the Foothill-Vineyard Inc. condominium association (aka “Pacific Trails”) has retained Tinnelly Law Group as its new legal counsel. Located in the City of Rancho Cucamonga, the Pacific Trails project will ultimately consist of 92 condominium homes at build out. The community is designed to be a “walking community” in close proximity to nearby shopping and recreation areas, including the Red Hill Country Club. Outdoor sports enthusiasts can also take advantage of an easy drive to Mt. Baldy for skiing, snowboarding, and hiking. Our HOA lawyers and staff look forward to working with Pacific Trails throughout its construction phase and thereafter once complete. We enjoy helping new communities establish solid operational foundations that ensure their continued success.